Well, I've been on a rather long hiatus from the blogging of late and its for no bad reason. My family just seems to keep on rolling with all the excitement. In the past 6 months I have been a bridesmaid TWICE. Once each to BOTH my siblings. Yes, both my brother and sister got married within 6 months of each other. The last right before christmas, and it was an indian wedding, so as weddings go it was MEGA and awe-inspiringly big and beautiful. Then there was christmas with two new big extended families, and then best of all, I have just become an aunty!! So as you can tell my life for the past few months has been pretty full on and pretty hectic! Amazing though and I am so very very blessed with all this happiness. Through all this excitement I haven't managed to properly trial many products to the full. So just to keep the excitement going here is some exciting new beauty news! Nailberry nail polish is launching a brand new colour collection! And it is perfect for Winter and Autumn! 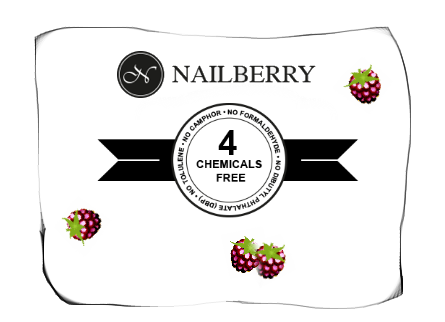 Nailberry polishes not only have an awesome name but they also have a 4-free formula, sans Formaldehyde, Toluene, DBP and Camphor and are even cruelty free. the formula even has a UV filter so stop the polish from discolouring! Clever stuff.